Matisse used patterns of swirls and vine-like curves in the paintings I’ve been reading about. At the moment I’m not clear about his use of these complex ornamentations, but my impression is that, like the late compositions of Paul Klee, the eye of the viewer isn’t given much of a resting place. Somehow (I have read), Matisse uses the these decorative figures in combination with other attributes of the scene he is depicting, to change the nature of pictorial space. My watercolor below contains several swirling ornamentations without the complexity of a Moorish screen, but which may very well illustrate an arabesque in its meaning associated with dance. 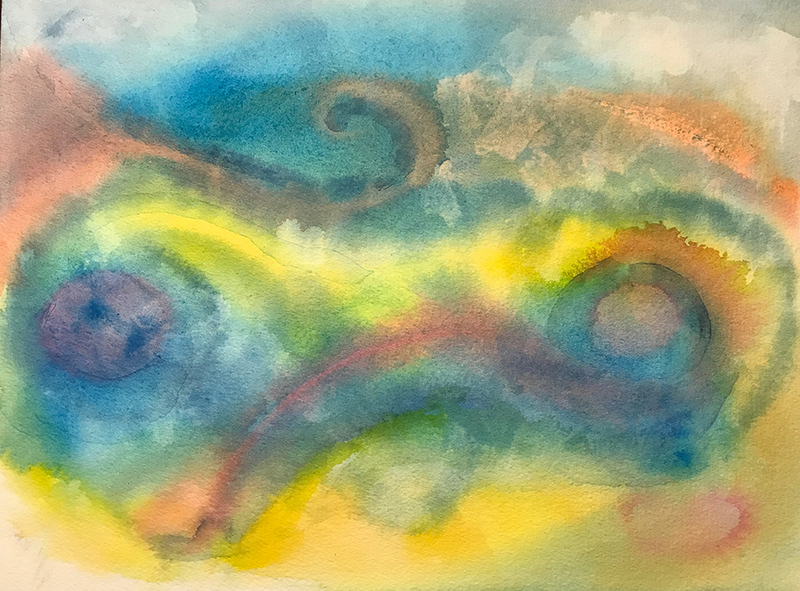 This entry was posted in Personal Stories and tagged abstract art, abstract expressionism, arabesque, art, artistic process, creativity, ornamentation, painting, visual arts, watercolor. Bookmark the permalink.